Ayres Adventures will offer three new motorcycle tours in Asia in 2016-2017: the 14-day Japan – Cherry Blossoms and Mount Fuji, the 69-day Riga to Hong Kong – Epic Journey, and the 13-day Hokkaido – Japan’s wild North. During 2013 and 2014 Ayres Adventures conducted four separate Asian scouting missions in preparation for launching these new tours. As with all of our tours, Ayres Adventures makes considerable investment in scouting to select the best of many alternative routes and attractions. With extensive advance preparation, we can insure that the most interesting destinations, routes, attractions and accommodations are offered to our customers. Scouting for the Asian Adventures has proved to be more challenging than for any other of our tours. 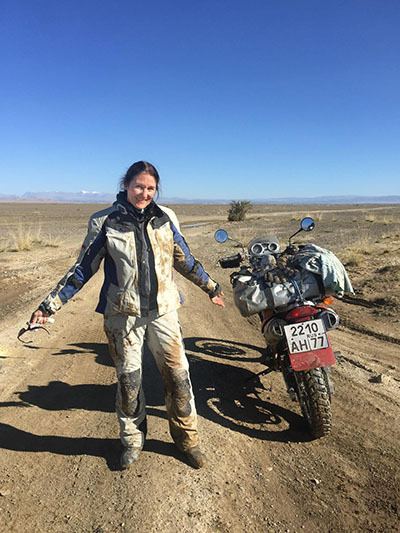 We spent several weeks scouting Japan, and several months scouting the Epic Journey and the Eastern Siberia and Mongolia Adventures, including rides through “European” Russia, Siberia, Mongolia, Kazakhstan and China. The Japan – Cherry Blossoms Tour includes several of Japan’s most popular ancient temples, mist-shrouded hills, quaint thatch-roofed villages, and twisty mountain roads. Our staff was very impressed with this motorcycling paradise and with the gracious hospitality of Japanese people; but most of all, with the spectacular visit to Mt. Fuji during cherry blossom time! The route we’ve selected for the magnificent Epic Journey crosses six countries – Latvia, Estonia, Russia, Kazakhstan, Mongolia, and China. Accommodations range from 5-star hotels to “Gers”. Early on, you’ll visit the beautiful city of St. Petersburg including the Palace of Catherine the Great. In Mongolia, you’ll have an authentic experience of the three national sports: archery, horse racing, and wrestling. In China you’ll ride “bucket list roads” that are not on any other tour itinerary, as well as the famous Silk Road. You’ll visit the Terracotta Army in Xi’an, the Great Wall of China, Beijing, and finally, Hong Kong. This is truly the trip of a lifetime! This was a really adventurous trip, going to places where few others go! This was a really adventurous trip, going to places where few others go. The riding is challenging and makes the land soak into your entire body. The vast spaces are a relief from our crowded lives and free up the imagination like no other place. It takes a long time afterwards to process all the experiences and tell the stories, truly a "once in a lifetime”!